We are working to inspire students to become geoscientifically literate and involved citizens, by introducing them to societally-relevant topics and career possibilities in the Geosciences. To support student learning in the classroom, we are incorporating regional case studies, focusing on nearby urban environments rather than distant wilderness environments. To support student learning beyond the classroom, we seek out and highlight research opportunities to our students and support them in the application process, particularly focusing on the needs of first generation college students. It is our hope that these changes will increase student interest in Geoscience, especially for students from groups underrepresented in the Geosciences. The Portland, Oregon SAGE 2YC FACA team also known as the "Trailblazers" has been incorporating active student learning strategies within our courses at varying levels both at Portland Community College (PCC) and at Mount Hood Community College (MHCC). Methods used include: jigsaws, minute papers, gallery walks, Think-Pair-Share, collaborative exams, wrappers, and lecture tutorials. Reflecting on the use of these methods, each of us feel that there are varying levels of success with some methods demonstrating more efficiency leading towards student success than others. All three of us agree that the utilization of these methods has proven to be favorable and useful on most occasions for the majority of our student population. On a regional scale, our first workshop in fall of 2016 specifically addressed active learning strategies. During the workshop, 18 participants were actively engaged in a gallery walk revolving around hydrologic issues, and a jigsaw introducing other active learning strategies promoted through SAGE 2YC. The Oregon team felt that the fall workshop in 2016 was very successful. Our follow-on activity in the spring proved to be just the opposite, as only one participant returned during the spring of 2017. We are hoping to increase the participation level during the summer of 2018 by inviting our January, 2018 workshop participants to join us during an NAGT PNW Chapter no-host social event. We are attempting to address diversity issues during this upcoming regional workshop taking place in January of 2018. We are highlighting the Vanport flood during this workshop as a local case study which directly impacted people of color in Portland. PCC is working on the development of a laboratory activity/case study directly involving the Vanport floods potentially to be implemented during the winter term of 2018 in G202 courses. All three Change Agents are in the process of making connections with our campus diversity teams and multi-cultural centers in the hopes of learning new ways to increase diversity within our programs. Our workshop this January will take place at Portland State University, and will therefore also highlight geo-pathways between PCC and MHCC to PSU, OSU, and U of O. The Oregon team is attempting to identify research experiences for undergraduates interested in a geoscience career. At PCC students were invited to participate in a newly developed undergraduate research program through the Oregon Space Grant Consortium called SCORE (STEM Community-College Opportunity for Research Experience Program). Students have applied for this research opportunity at both campuses and will be informed by November 20th regarding their status. The SCORE program emphasizes increased diversity as a NASA goal and therefore may lead to increased diversity within our program as well. On a district level at Portland Community College we are developing a series of "on ramp" courses that center on topical societally relevant topics, stress depth over breadth, have a low math prerequisite and incorporate Open Educational Resources or low cost materials. This year we are adding G 147 Geology of National Parks to the two year old G 148 Volcanoes and Earthquakes and G 184 Global Climate Change courses. The aim is to develop set of learning materials for these courses which feature active learning strategies and regional case studies that can be used at all four of PCC campuses by full and part-time instructors. We are also developing a one minute pre-post survey that can be used in every geology and general science class at PCC with the aim of gauging changes in student attitudes about earth science. We are also expanding on offering REU info sessions in collaboration with the STEM Center Career Education Center at the Southeast campus. 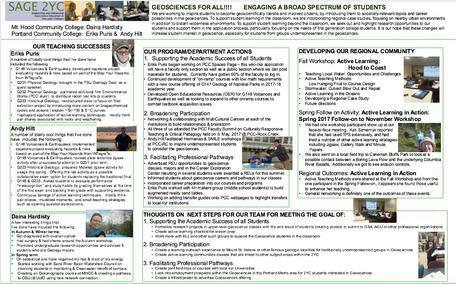 Over the past 2 yrs we have addressed the grant strand of supporting academic success using active learning strategies as a goal of our workshop. This second year we are targeting the broadening participation in the geosciences by looking at diversity in our classes compared with the 2YCs as a whole, and using Vanport as a focus for this process. Metacognition is one additional area that we have discussed during our meetings, and unanimously have agreed that we would like to incorporate this into our 3rd year regional workshop. Additionally, our goals for future years include facilitating professional pathways by hosting meetings at governmental and/or private Geoscience collaborative partners. Daina will be looking at developing life-long learners at Mt. Hood Community College by supporting student success at the program level. This will involve continuing to explore new active learning strategies associated with metacognition. At the institutional level Daina will focus on broadening participation by sharing active learning techniques with colleagues on the MHCC campus. Daina will additionally look at collaborating with various diversity organizations on campus to see about increasing underrepresented minority groups within the Geosciences at MHCC. MHCC is also looking to create partnerships with the local Geoscience industry to explore possible collaboration opportunities. At Portland Community College, Andy and Eriks will focus on taking a closer look at outcome data from all four campuses to drive change from within which will continue to support student success. We will look more carefully at achievement gaps with underepresented groups in specific courses within our program. Working with adjuncts to incorporate a specific active learning strategy and a social belonging activity that will be utilized by the change agents and later shared with part time instructors. Ensure collaboration with Portland State University by inviting a faculty undergraduate advisor and student representative to visit G201 classes at MHCC and all four PCC campuses prior to winter quarter registration. We are hoping to support the 2YC - 4YC pathway for potential Geoscience majors between PCC and PSU. The Trailblazer team will visit with OSU academic advisors to discuss curriculum alignment of Geoscience/Earth Science courses within the Geoscience & Earth Science programs. Increasing the number of REU info sessions by replicating the existing format (currently implemented at PCC-Southeast) at Mt. Hood Community College and the three other PCC campuses (Cascade, Rock Creek, and Sylvania). 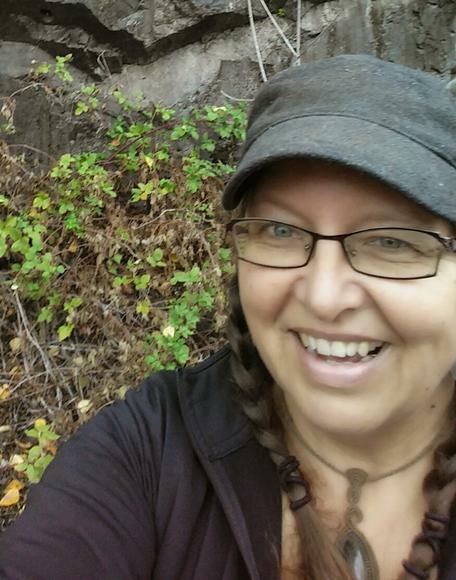 Daina has been teaching geology for 14 years and she enjoys giving students a new perspective on the Earth. Two ways she does this is by using the "What a Geologist Sees" theme from Marshak textbooks which focuses on analyzing how landscapes have been shaped, and by incorporating a field component into her classes, often in the form of a field trip. Daina promises students "You'll never look at the Earth the same way again!" Daina teaches Physical Geology, Historical Geology, Volcanoes & Their Activity, and Regional Field Geology, which includes a week-long field trip. She also teaches a geoscience-based Watersheds course for the Natural Resources program, which is not part of the Geoscience program. A quick shot of the lower falls at Yellowstone National Park. Andy worked for five years as a consulting hydrogeologist for a civil engineering firm in Brookfield, Wisconsin, then taught freshman Earth Science for thirteen years and junior & senior level Astronomy for four years at West Bend West High School in Wisconsin. Bill Nye once presented him with an award in a national lesson plan competition regarding the Mars rovers. 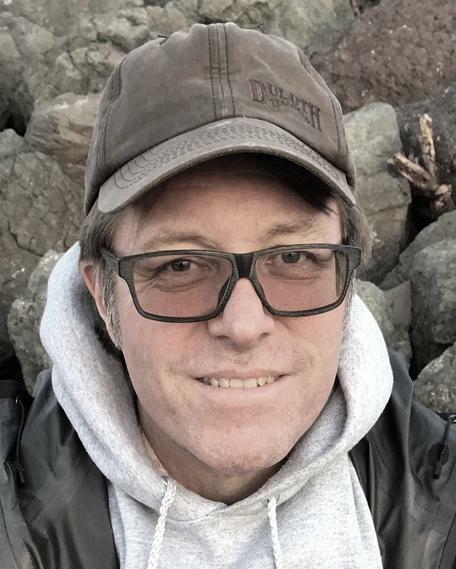 Andy is the Subject Area Committee chair for the Geology & General Science Department at Portland Community College and has served as an affiliate to the Oregon Space Grant Consortium for four years. Andy teaches Physical Geology, Historical Geology, Ocean Science, Meteorology, and Astronomy. 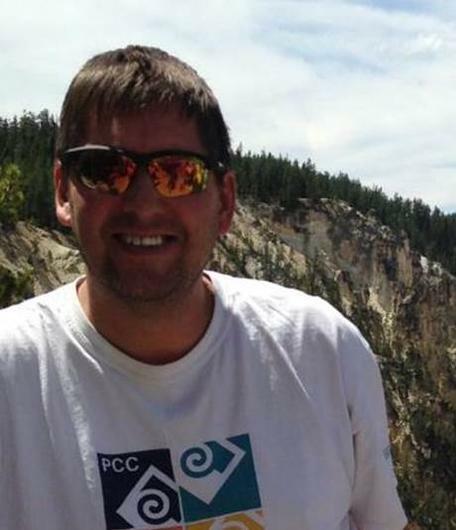 Eriks enjoys teaching across the Earth science disciplines and hopes to teach a climate change course soon. In 2015 he became the co-chair of the Department of Sciences, Health, and PE. He has been a longtime member of the College's Degrees and Certificates committee. Eriks' teaching has become more focused on regional/local geology, and he challenges himself and his students to uncover the geologic stories within walking distance of his campus. Institution: Mt Hood Community College has its main campus in Gresham, Oregon, about 15 miles east of Portland. Fewer than half of its ~9,000 students are between 18 and 24 years old; 46% are 25 years or older. Geoscience program: The geoscience program at Mt. Hood Community College is made up of one full-time faculty and one adjunct faculty. Geology at Mt. Hood Community College is within the Science Division and could be considered its own department. It offers courses in Physical Geology and Historical Geology. A Watersheds course is offered in Natural Resources. The geoscience program serves ~300 students/year. Many students take the courses to fulfill a science requirement. There are approximately 2-3 geoscience majors per year, more than half of whom are female. Institution: Portland Community College is a two-year college that is the largest higher education institution in Oregon. It has four campuses and seven centers that serve about 90,000 students (57,000 in credit courses). The student body has an average age of 32, although 38% are under 25 years of age. The division/department structure is different at each campus. PCC has three full-time instructors and fifteen part-time instructors across all of its campuses. Campus:The Rock Creek Campus is about 12 miles west of downtown Portland in the Beaverton-Hillsboro area. It serves more than 23,000 students and has neighboring farm and wetland areas. Thirty-two percent of students enrolled at Rock Creek take classes solely through distance learning. Geoscience program: The geoscience program at Rock Creek has one full-time instructor and five part-time instructors and is part of the Science and Technology Division, which also includes Physics, Chemistry, Biology, Environmental Science, Microelectronic Technology, Veterinary Tech, Biology and Management of Zoo Animals, and Computer Science. The geoscience program offers courses in Physical Geology, Historical Geology, Ocean Science, Meteorology, Astronomy, Global Climate Change, and several Field Geology courses. In addition, the Environmental Science program offers GIS courses and geography courses. The geoscience program at Rock Creek has students from many different ethnic backgrounds ranging from high school age to retirees returning to college out of personal interest. Typically there are 27 sections taught by three permanent faculty and 15 adjunct instructors who each teach between three and eight sections throughout the year. Each section has a maximum of 28 students. Most students take geoscience courses because many of the courses are four credit lab-sciences, which satisfies the requirements for associate transfer degrees. There are a small handful of future geology majors each year, most of whom eventually attend Portland State University. At PCC, there is no official majors designation, although it is being considered. Campus:The Southeast Campus is the smallest of the four campuses, serving over 11,000 students annually. It is about five miles from downtown Portland. Geoscience program: In the geoscience program at PCC- Southeast, one full-time and 3 adjunct instructors offer Physical Geology, Historical Geology, Ocean Science, Meteorology, Geology Field courses, Pacific Northwest Geology, and Volcanoes & Earthquakes. There are typically 1-5 students interested in a geology major each year. Geoscience is generally within the Sciences, Health, and PE Department, which is part of the Sciences, Math and Career Technical Education Division. A GIS certificate program is administered by the Geography Department and Environmental Science is offered through a separate program.